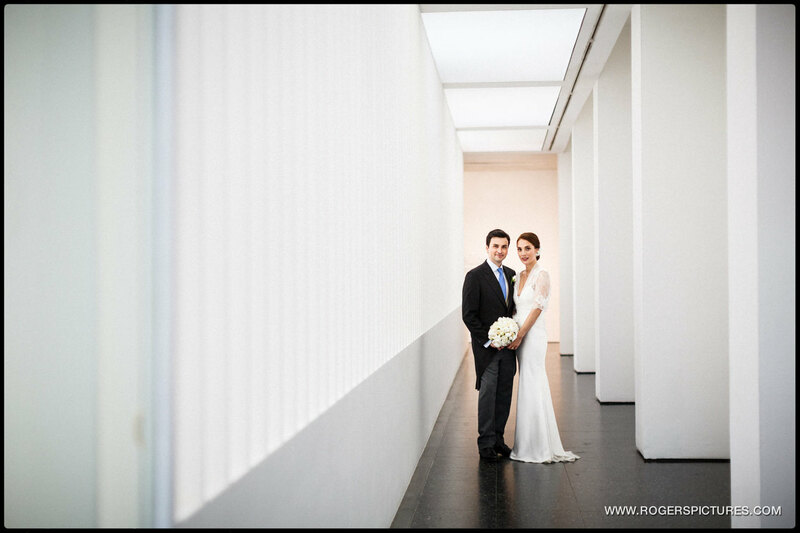 The ICA Wedding Venue London is a fabulous space for quality documentary wedding photography with great light and plenty of interesting angles. But first I photographed Clare’s preparation at Claridges, one of the classiest hotels in town to get ready for a wedding! We did a couple of quick portraits on the magnificent staircase before heading off to St Stephen Walbrook, a church in The City steeped in history. 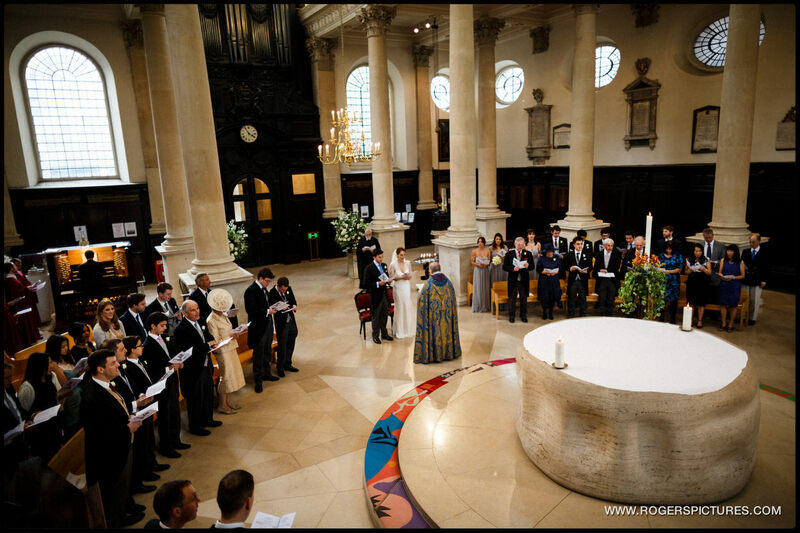 Following Claire’s preparation, the ceremony was held under the impressive dome at St Stephen Walbrook church, a round Church, with a Henry Moore sculpture as the altar in the centre. . The original church on the site was destroyed in 1666 by the Great Fire of London. 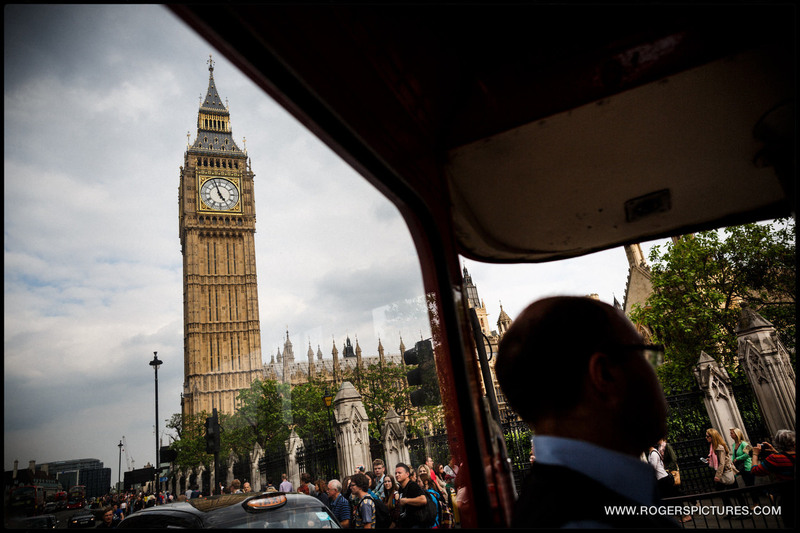 Christopher Wren rebuilt it with the first domed church in England, and often cited as the precursor to St Paul’s Cathedral. 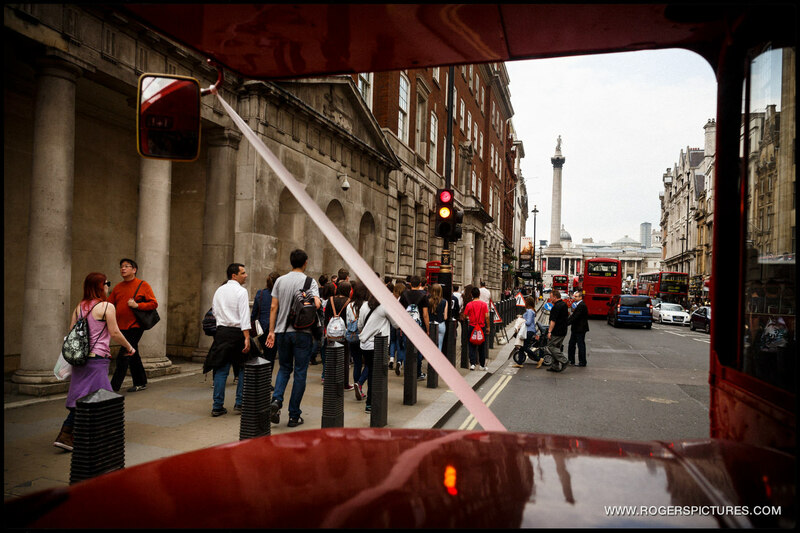 After the ceremony I joined the guests on a double decker London bus for the ride across the city to the ICA on The Mall. 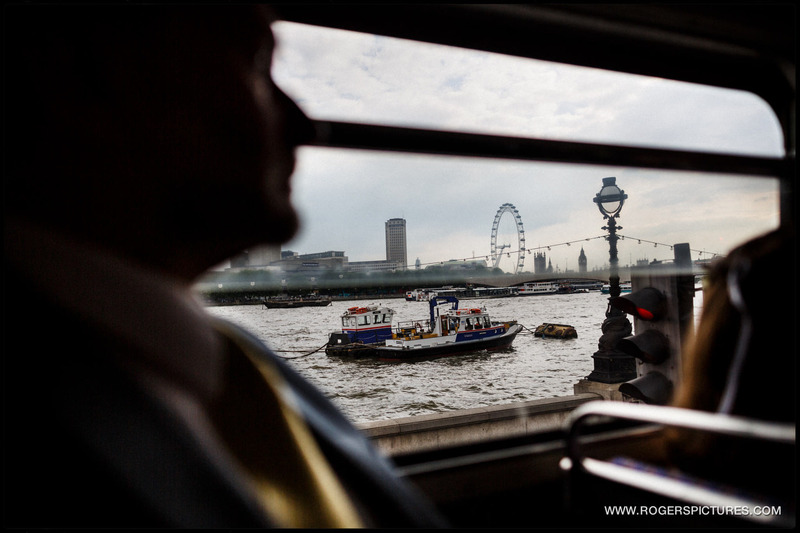 I always try to capture an element of the city on these kind of journeys, and the bus took the route along Embankment to Trafalgar Square, so I was able to get some of the Thames, Parliament and Nelsons Column into the pictures. 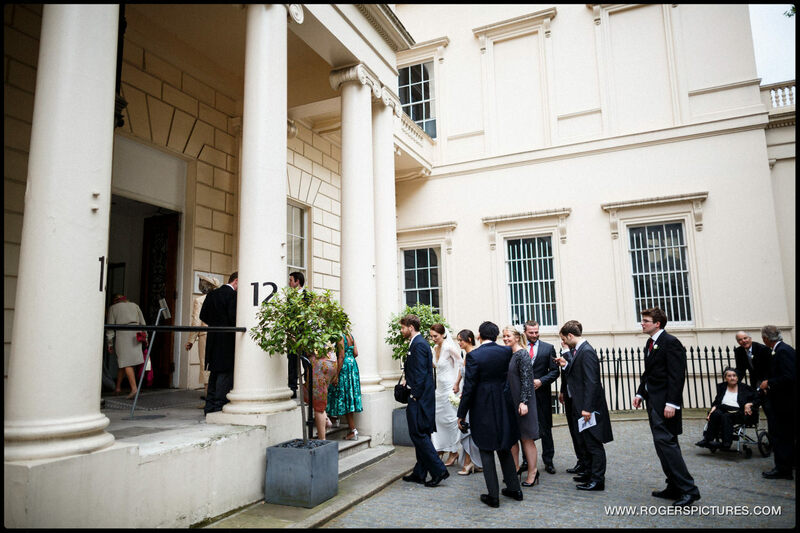 We finally arrived at the Institute of Contemporary Arts on The Mall for a lively wedding reception. 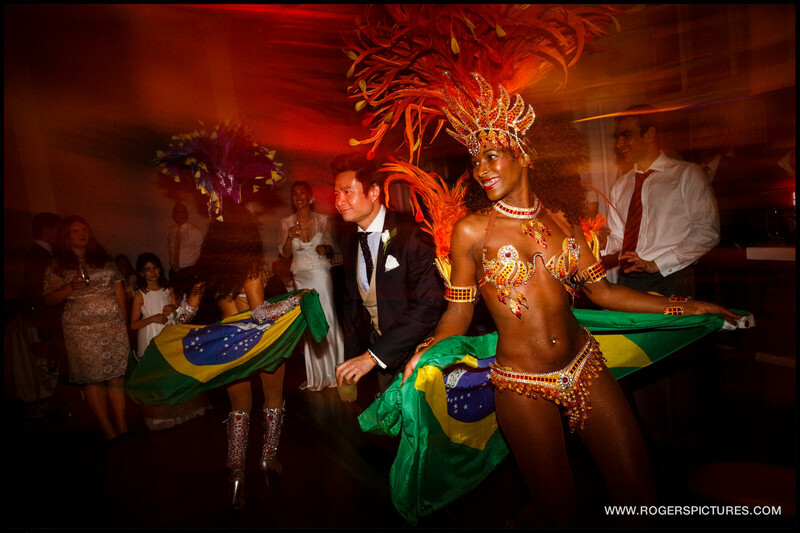 We did a few quick portraits before the wedding breakfast, and then the evening celebrations started with the first dance and a surprise performance by some Brazilian dancers. 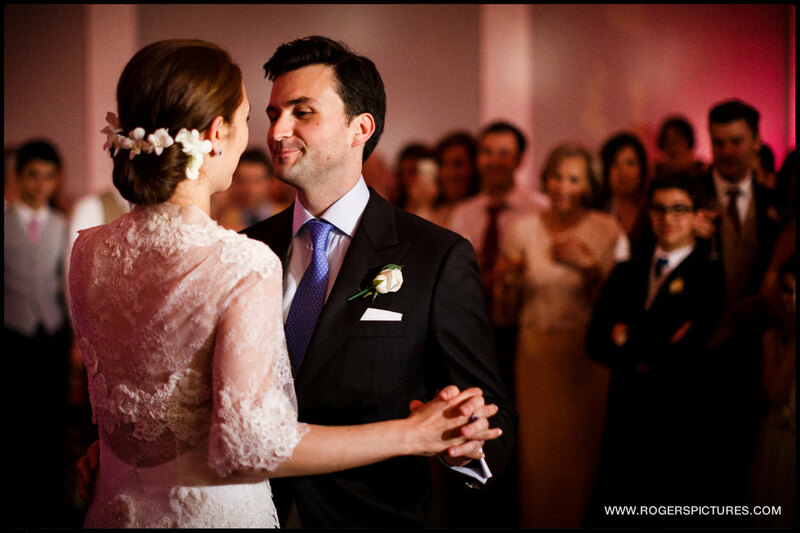 You can see more from recent weddings on the rest of the blog. If you’re planning a wedding and like the style of this unobtrusive wedding photography, please get in touch to check my availability and fees. 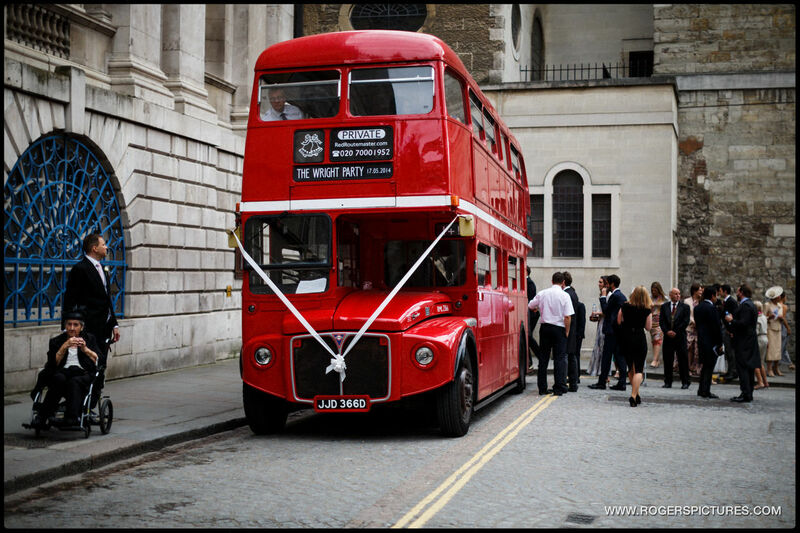 Other great London venues include Asylum wedding photography and Bluebird Chelsea wedding photography.